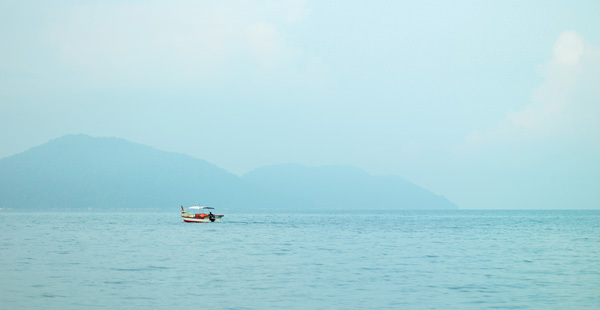 Penang has something for everyone; highly sought after food, white sand beaches and charming heritage buildings. Here’s our list of Penang’s top attractions. 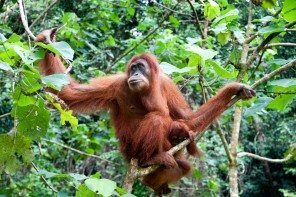 A guide on what to do in one of Malaysia’s most exciting and culturally rich islands. 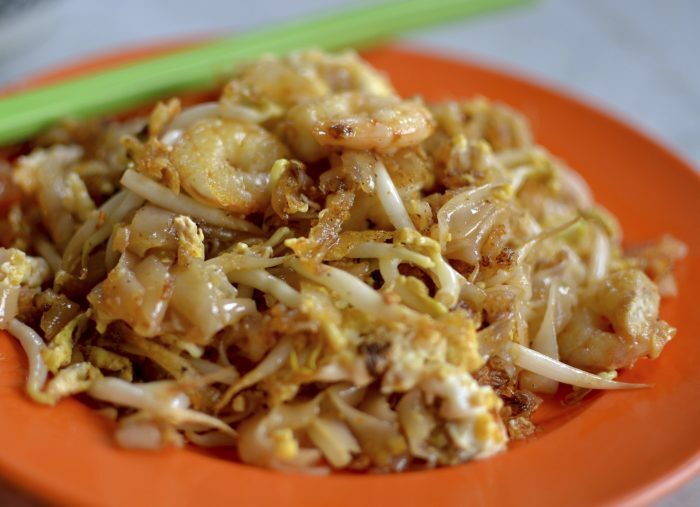 Penang is famous for its food, with many tourists’ holiday itineraries revolving around the food they want to eat. Must try dishes include char koay teow (wok-fried rice noodles), Asam Laksa (noodles with fish in a spicy, tangy broth) and chendol (sweet milky dessert with green noodles). Places to head to for authentic fare include Pulau Tikus, Chowrasta and Cecil Street. Gurney drive is the island’s most well known foodie hotspot that is full of seafood options and located right along the water with a picturesque promenade in front. 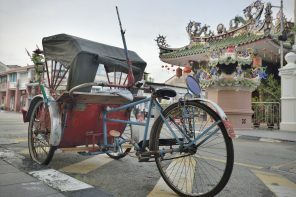 There are many attractions to see in Penang’s heritage district of Georgetown including heritage buildings, street art, local fare, temples and museums. 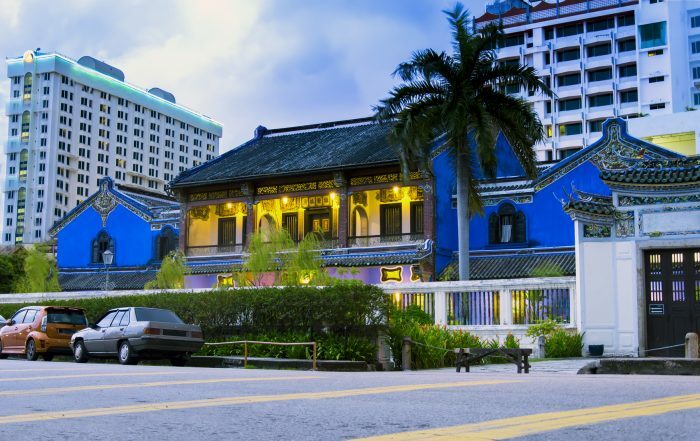 Places to explore include the Khoo Clan House, Armenian Street for art galleries and shops, The Blue House an old Chinese mansion turned into a museum as well as the Eastern and Oriental Hotel, a grand century old luxury hotel. 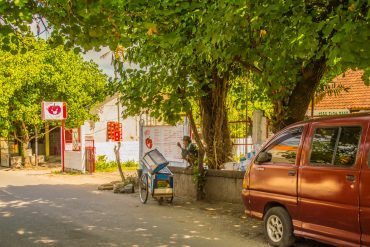 With so many restored heritage buildings in Georgetown, you’ll see both fast-food and high-end restaurants housed beautiful colonial buildings; quite the contrast. A great way to explore Georgetown’s sights is by trishaw. You can be shielded from the sun while you explore and you know your driver will know how to get where you want to go. While in Georgetown, explore some of Penang’s hipster cafes and fine restaurants the area has to offer. 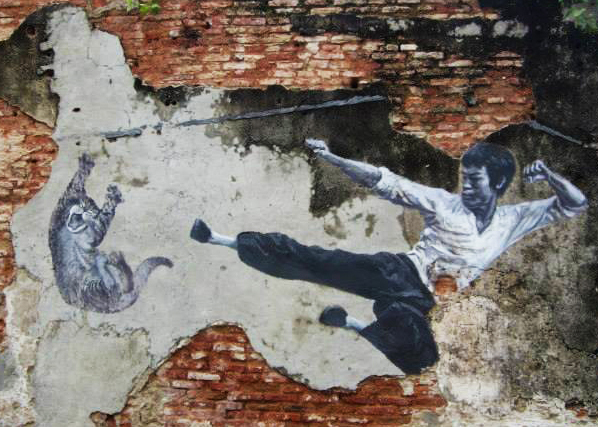 Penang is known for its creative street art hidden in Georgetown’s alleys. Look out for murals of children that often interact with their surroundings and incorporate real objects like bicycles and chairs. These are all done by the Lithuanian artist, Ernest Zacharevic. There is also a collection of twelve cat murals painted by ASA, Artists for Stray Animals, that encourage kindness to cats, as well as quirky welded iron wall sculptures. What better way to enjoy Georgetown, than to stay in a restored heritage building full of history. The iconic Eastern and Oriental Hotel originally built in 1885 is always a popular option for a luxurious stay. For something quirky Hotel Penaga offers a mix of east and west as well as contemporary and classic decor. 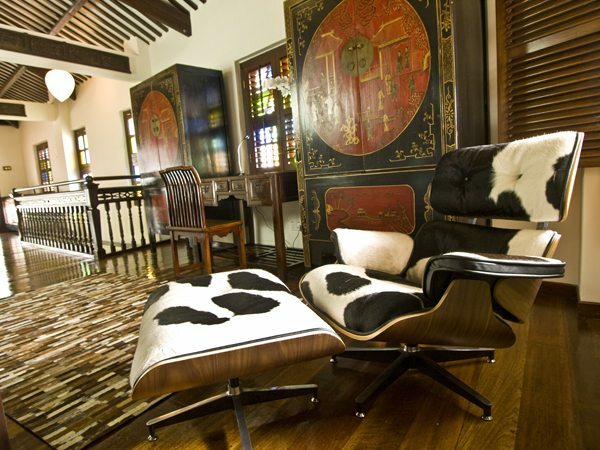 A new option in town is the boutique Macalister Mansion with only 8 rooms but a lot of style. 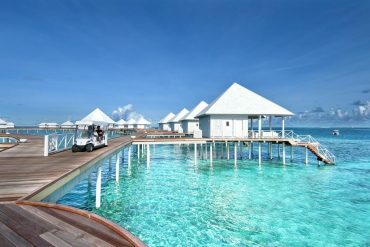 White sand beaches and beach resorts are only a short drive away from Georgetown at Batu Ferringhi. 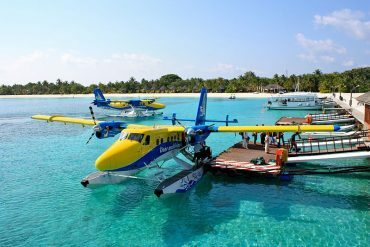 With a stretch of beach lined with resorts and hotels that range from budget to family friendly to luxurious, there’s something for everyone. The night market along Jalan Batu Ferringhi is another draw to the area with its array of stalls as well as trishaws lit up with neon lighting. 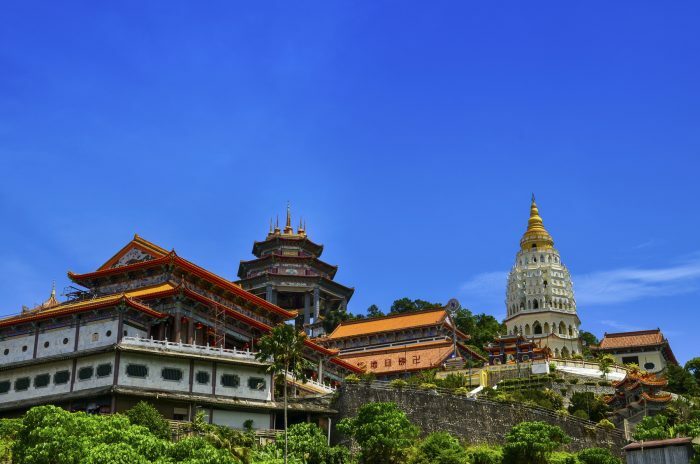 The Kek Lok Si Temple is the biggest Buddhist temple in Southeast Asia, and is located in Air Itam in Penang. The temple is filled with beautiful architecture and artwork that shows a blend of traditional Chinese rituals and Mahayana Buddhism. On top of the many shops on the way up to the temple and throughout, there is much to see. There is a big pond full of turtles, which you can feed, and many statues of Buddha and different Gods and Goddesses, including a 30.2m statue of the Goddess of Mercery, Kuan Yin. Construction of the temple started in 1893, and the main pagoda, the Pagoda of 10,000 Buddhas, was completed in 1930. 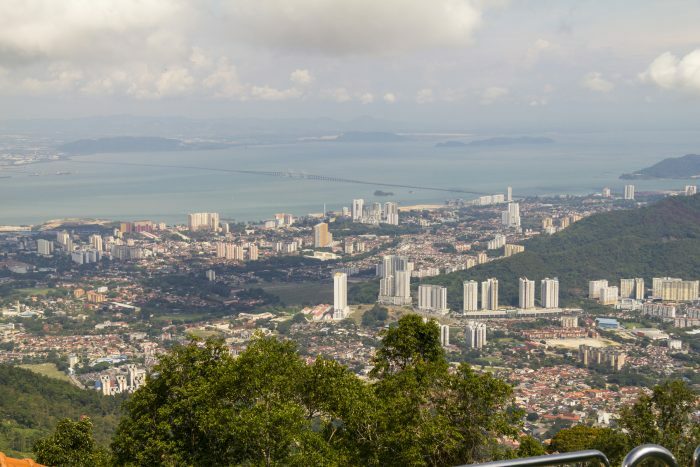 Escape the heat and head up Penang Hill where the temperature averages 20 to 27 degrees. Penang Hill is the oldest British hill station in Southeast Asia, dating back to the late 1700’s where it was used as a retreat. Today, getting to the top of the mountain is made easy by the use of funicular train which takes only 5 to 10 minutes. Once up in the hills there are a number of activities including guided nature treks, a lookout point and colonial architecture. Newly added in early 2017 is the Curtis Crest Tree Top Walk soaring 13 meters above a large clearing once used as a military ground. It’s the highest viewing platform in Penang. Also soon to be added are 2 canopy walkways. 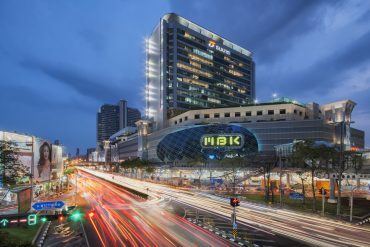 Accommodation and dining options are also available which includes the restaurant David Brown that offers heritage ambience with British cuisine, a selection of Penang specialties and a great view. 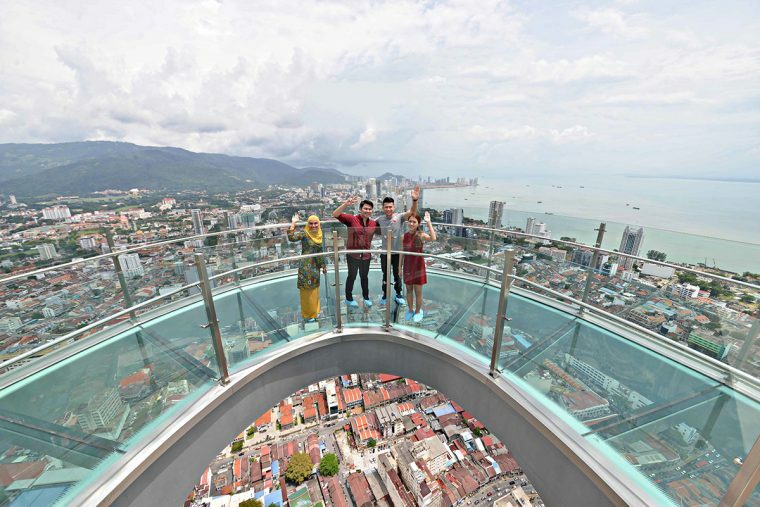 Test your fear of heights from Penang’s Rainbow Skywalk, a glass bottomed bridge jutting out from the 68th floor of the Komtar mall. Not for the faint hearted, this new Penang attraction recently opened in December 2016. 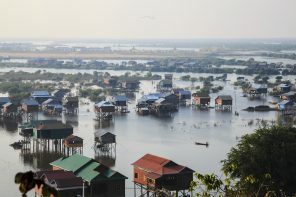 Previous articleWhich Island in Cambodia Is Right For you?